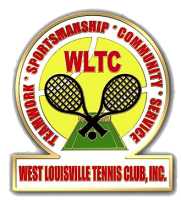 As President of the West Louisville Tennis Club, Inc., this year's 2018 Season will prove to be one of great expansion for the Club in terms of youth programming, community involvement and relationship building. 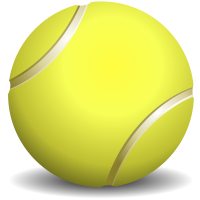 We are dedicated to the game of tennis and to the community in which we reside. We seek to use our spirit and love for the game to bring people together. Our goal being to build mutal respect, tolerance and acceptance through sportmanship, healthy competiton and social networking. Our community is changing, the members of WLTC will look at ways to deliver our message of hope and betterment to West Louisville. 1. The adoption of St. Francis High School's tennis program; Including hosting JCPS 2018 Region Tennis Tournament in Chickasaw Park. 2. The adoption of the West End Boy's School to develop and foster middle school tennis in the West End. 3. We will work with neighborhood schools to create tennis awareness and knowledge based programs that teach tennis fundamentals. 4. We will pay tribute to the rich history of the Club and promote the game as an alternative sport for our youths to play. , 5. We will honor the memory of past members that provided the platform upon which we stand. Our hope is to engage in youth initiatives to reduce violence and offer safe place for kids to socialize in the Park. These are very ambitious ideas that reflect a much needed opportunity for the West End of Louisville to develop healthy, safe recreational outlets, that build minds as well as bodies. We will collaborate with other West End groups, the USTAKY, PTR, our Councilperson, the Mayor's Office and state leadership, to make our vision a reality. I pray our efforts are received in our community and we can achieve all that we dream for the West End community. Last but certainly not least, planning is underway for our "2020 Centenial Clebration" and we need your help! Let's come together and support 100 years of service to the West Louisvlle Community!